Beginners and experienced smiths know that there is not much you can do without proper tools. 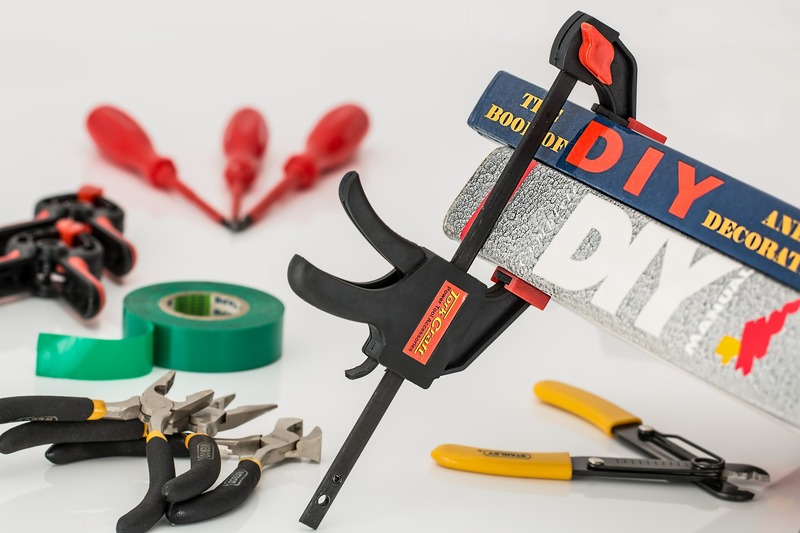 Let’s break down all the different tools you need, their purpose, and where to get them. You can’t start blacksmithing without the forge. It is not just the name of your workshop, it is also the furnace you use to melt down metal in order to shape it properly. There are two types of forges, based on the fuel they use. Coal forges are more traditional and give out more heat. They can also lead to a lot of smoke and bad smells, require better blacksmiths, and are dirtier. You will need to clean them more often and install a proper chimney prior to forging. Gas forges are cleaner and easier to operate. They don’t require constant maintenance like their coal-based cousins. However, they emit more CO, so proper ventilation is a must. They are also tricky at times, since there are welding operations that don’t go as planned. Whether you opt for gas or coal, equip yourself with proper accessories as well. Another tool essential for smithing is the anvil. Depending on what type of work you plan to do, you may need anything from a 5-pound anvil to a 500-pound one, depending on whether you are making jewelry or a suit of armor. Between the two, you will find anvils suitable for farriers. The shape of the anvil is traditionally the same for most of them. The most recognizable parts are the face, the hardie hole, and the horn. 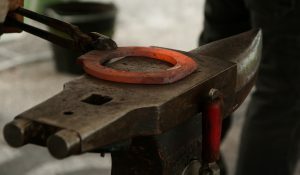 Every part of the anvil serves a special purpose – the horn, for example, is there for bending the metal. Sometimes, if the anvil in question serves a very special purpose, its appearance will differ from the traditional look. Hammers, like anvils, come in many shapes and sizes, depending on what you need them for. In this category, you will also find mallets and sledgehammers. I am not going to list all the different types of hammers, because such a list would be too long and confusing. The fact is, if you are really planning on pursuing the art of blacksmithing, you will not be able to do so with just one hammer type. Some of them are used for evening out your work, while preventing the shock of the blow from ruining it. Others are there for precision work, removing hammer marks, or just brute force. You will not get far if your work gets away from you. 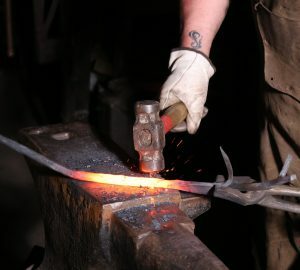 Tongs are used to hold the material you are working on while you are heating it up, cooling it down, or just hammering away. Vices and clamps serve a similar purpose – they are there to stick several pieces of your work together for a particular process. The tools listed are just the bones of the process. There are chisels, engraving tools, rivets, and a whole world of thingamabobs and doodads. 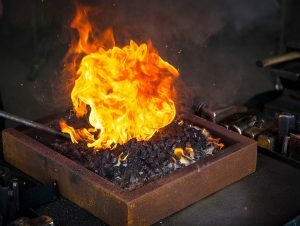 Blacksmithing is a hobby, a calling, and a profession, but it can be a pricey one, so make sure you keep a look out for good deals when purchasing proper equipment.